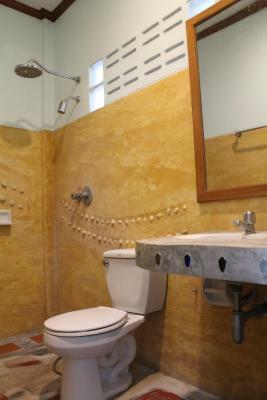 The bathroom was probably the only bathroom there that didn't smell like rotten fish. The dorm had a fan, not that it really did anything but it had one that worked. The staff was incredibly nice and helpful. Say hello to Gade & Tan who are my best friends when I stayed there. Staffs there are welcome and friendly. 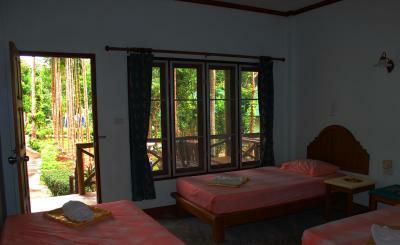 The place is close to nature and beach you can meet with wild monkey there. 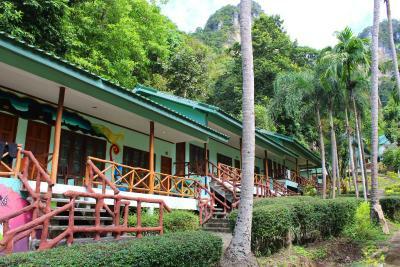 This hostel is very suitable for climbers and reggae. 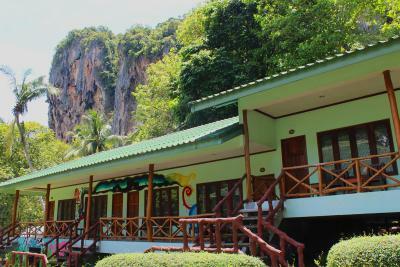 Best option to stay if you dont like crowded area like ao nang but this area is quite expensive. The location was absolutely stunning!!!! Amazing and beautiful place! Monkeys and nature were incredible!! Nice place in the jungle. Houses were cool with the flags. Chill bars around. 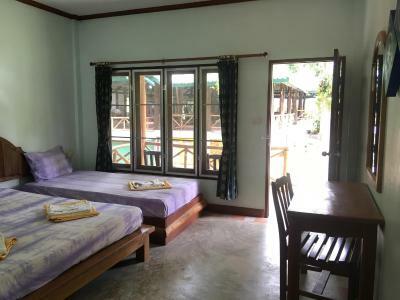 Very easy and adventures accomodation for no difficult guests. But nature and beaches are wonderful and lovely. Ewerywhere monkey and snakes. Good price for meal, nice staff. Place inside of jungle. 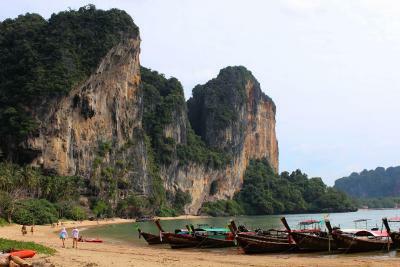 Beach is nearby, but way is in the rock mountains, about 15 minutes by walk, but beach is beautiful. Perfect location. Lovely helpful staff. Good size. Amazing food and bar area. 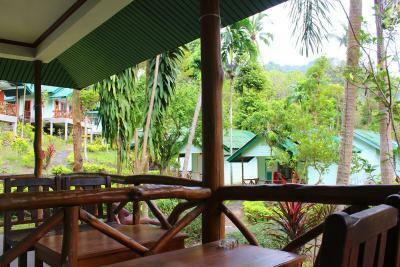 Chill Out Jungle Bungalows is located in Tonsai Beach and has a garden, a terrace and a bar. 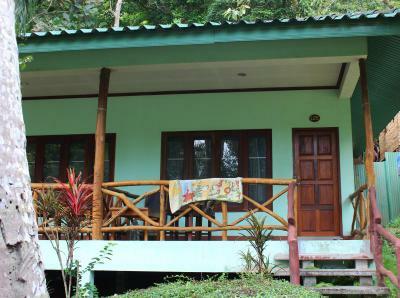 Featuring ticket service, this property also provides guests with a restaurant. 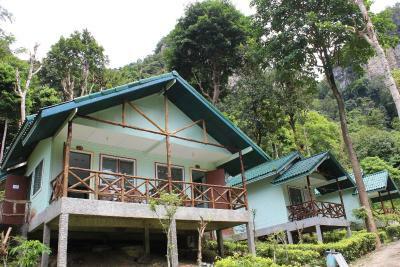 Rooms include a balcony with a mountain view. 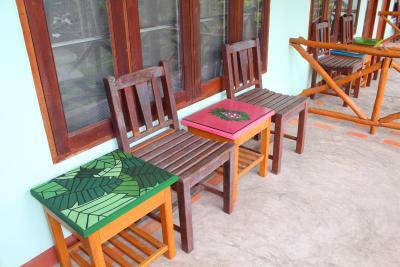 All guest rooms at the hostel are equipped with a seating area. 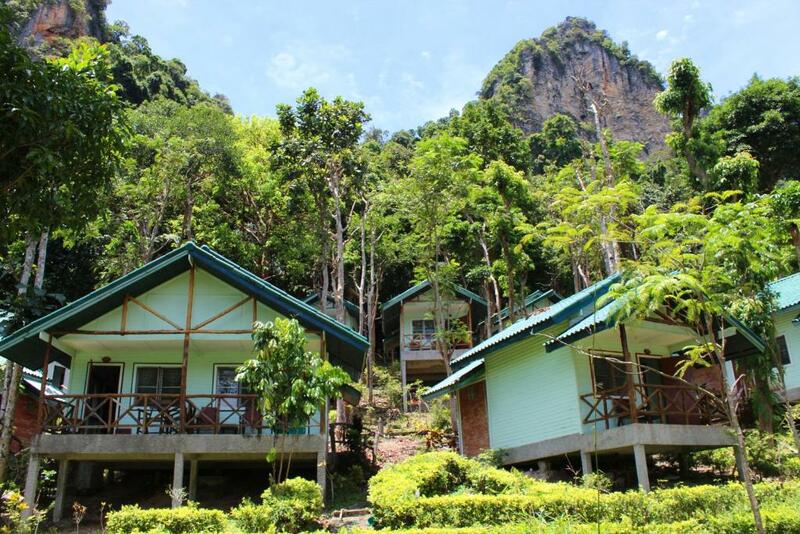 Ao Nang Beach is 1.2 miles from Chill Out Jungle Bungalows, while Krabi is 11 miles away. 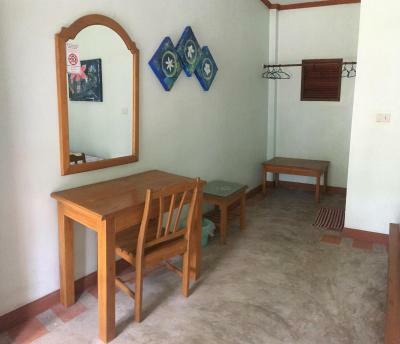 Krabi International Airport is 18 miles from the property. 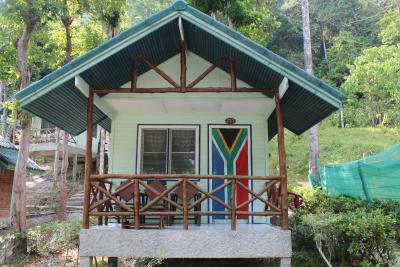 When would you like to stay at Chill Out Jungle Bungalows? 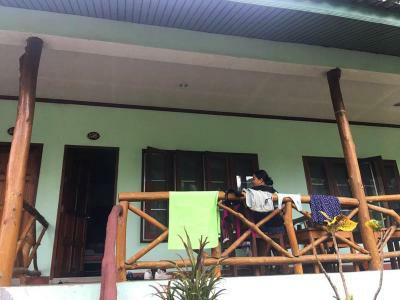 This double room has a balcony and mountain view. 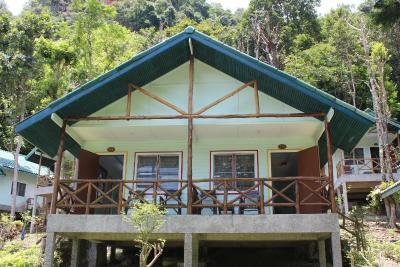 House Rules Chill Out Jungle Bungalows takes special requests – add in the next step! Electricity went off quite early in the morning so no ventilation in room. A little bit away from the beach and beach was rocky. No air conditionting. Very bad sleep without air conditioning. Bed mats could be a bit better. 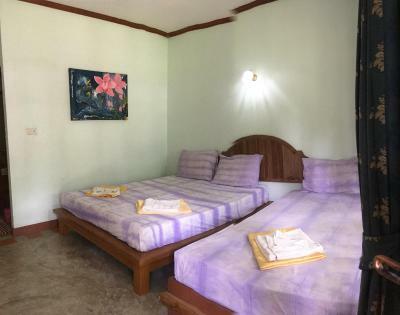 So nice, Tonsai is a must stay, and this a great value. Uncomfortable pillow and silky blanket so very sticky at night. Chill out area abit shabby, needs some more cushions or something to make it more comfortable to relax in. 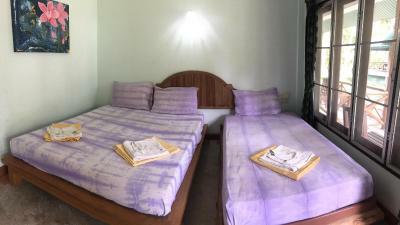 Basic rooms with powerful fan at night. Nice cold shower (no problem after climbing/ a day at the beach). Really helpful staff - helped us to arrange cooking our fish that we had caught the previous day on a fishing trip in phi phi. Lots of little restaurants nearby (much cheaper than on Railey beach). Tonsai beach is much quieter than Railey beach so a nice place to be close to. 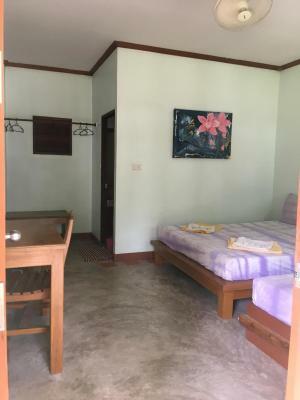 For beginners rock climbing and a white sand beach you have to walk round to Railey west/ east - but the 20/ 30 minute walk is worth it to stay somewhere affordable. Friendly staff. Location. Quiet during night. You have to go to Railay for a good beach (what you can do easily), but it is not the fault of the property. 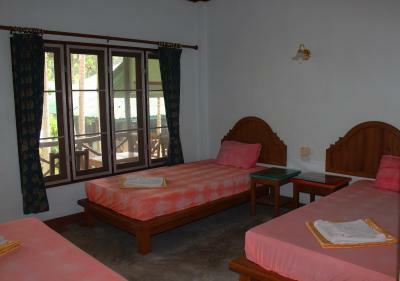 The cleanness and maintenance of the bungalows can be improved. You literally could not be closer to the nature. 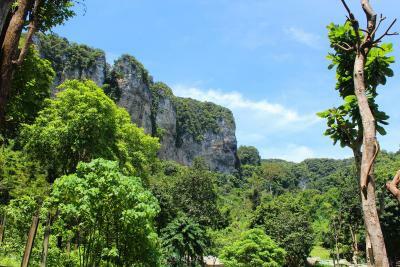 We saw two kinds of monkeys, varan, geckos, birds and butterflies around the area. 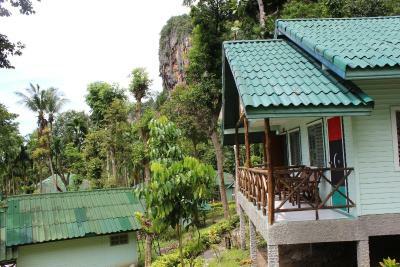 Very good climbing tracks and bars/restaurants around with super food, and you can take a water taxi or just walk to Railay either through the jungle (must try) or on the shore by low tide to access to the beach and the town. 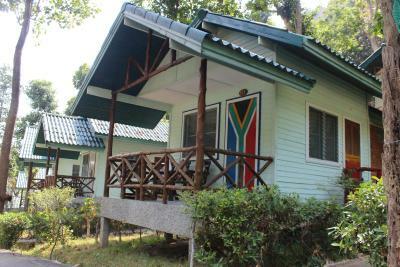 We would stay there again and recommend it for young backpackers and nature lovers. 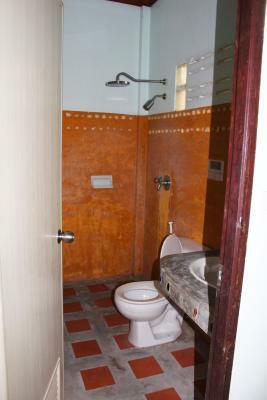 The staff is helpful and friendly with good English. Just in front of the restaurant there is a great guy who sells daytrips and helps you to find the most suitable activity for a reasonable price (pay a visit to him). We had some issues with the toilet. The place has an amazing vibe. Bed was disgusting, sheets didn't seem clean, place was kind of falling apart. Food in the entire Tonsai area is super sketchy and you're guaranteed to get food poisoning. Would never go back to Tonsai, there's better climbing in other places with less health risks.